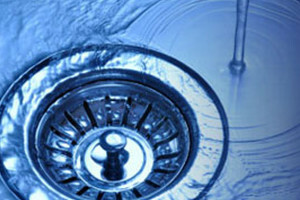 Quality Plumbing Services for Eau Claire, WI & Chippewa Valley! Thank you for doing exactly what you said!! I will be sure to refer people to you. Please send me a few business cards if you have any. That Max is a nice young man. Thanks for your service. We will be calling your company in the future with our plumbing needs. Eric – Thank you for the great job on our new master bathroom! We love it! We feel like were on vacation in a suite all the time. Thanks again! Reliable Plumbing Services for the Chippewa Valley! Ryan Plumbing, Inc. can take care of all your plumbing needs in Altoona, WI! Ryan Plumbing, Inc. serves Augusta, WI! Ryan Plumbing, Inc. serves Bloomer, WI! Ryan Plumbing, Inc. serves Boyd, WI! Ryan Plumbing, Inc. serves Cadott, WI! Ryan Plumbing, Inc. can take care of all your plumbing needs in Chippewa Falls, WI! Ryan Plumbing, Inc. serves Cleghorn, WI! Ryan Plumbing, Inc. serves Eau Claire, WI! Ryan Plumbing, Inc. serves Eleva, WI! Ryan Plumbing, Inc. serves Elk Mound, WI! Ryan Plumbing, Inc. can take care of all your plumbing needs in Fairchild, WI! Fall Creek’s #1 plumbing company! Ryan Plumbing, Inc. can take care of all your plumbing needs in Menomonie, WI! Ryan Plumbing, Inc. serves Osseo, WI with quality plumbing services! Ryan Plumbing, Inc. can take care of all your plumbing needs in Stanley, WI! Ryan Plumbing, Inc. can take care of all your plumbing needs in Strum, WI! Ryan Plumbing, Inc. can take care of all your plumbing needs in Tilden, WI! Our technicians are trained to be respectful, courteous, and helpful to any of our client’s needs. Our goal is to make sure your home or business is as clean, if not cleaner, than it was before we entered. The only evidence of us being there should be the service we provided. We offer free estimates on most jobs. If we give you a set price on a job, it is the price we bill you even if it takes longer than expected. If it is not a bid price and you would like a time/material approach, we can give that to you also with an anticipated price for said project. Either way you know up front what the project will cost you and you will be more inclined to call us back for future jobs knowing you can trust our pricing. We take full responsibility for your complete satisfaction of the materials we use and the workmanship in which it was installed. We offer a 1 year full warranty on any product and labor furnished. While many of our products we use carry a 1 year to 25 year warranty on them. 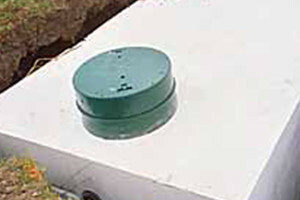 Have questions about your plumbing related project? Let us help, contact us today! Plumbing for Eau Claire, WI & The Chippewa Valley! 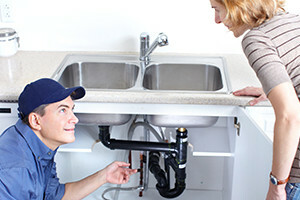 Choose the Best Plumber in Eau Claire with an A+ Rating!